Brendon very suddenly and tragically passed away Friday, March 30. Those of you who had the pleasure and joy of knowing him understand what a loss this is for his family, his friends, our music community and, frankly, the whole damn world. A husband, a dad, a son, a brother, a beat-maker, a man who loved deeply, who was kind and ferociously compassionate, who was funny in the both the darkness and the light, who taught us how to be more kind, to be more generous, more understanding, more loving and how to completely nail the perfect social commentary IN ALL CAPS. He was a f**ing inspiration and we are so lucky to have known him. We love him and will miss him terribly. 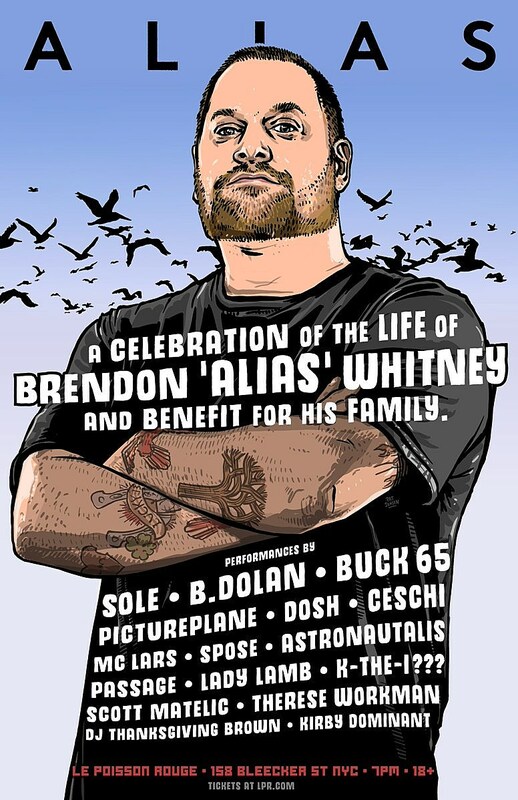 Brendon was a co-founder of the independent record label Anticon and released music under the moniker Alias. He collaborated with many artists and musicians, including his brother Ehren. We are grateful that we will always be able to visit Brendon through his music. Brendon leaves behind so many people, family and friends, that he has encouraged and inspired during his short life, including his wife Jenn and two girls, Aiko and Inara. By creating this memorial fund which goes directly to Brendon’s family, we hope we can try to help with the family’s financial burden and incredible amount of stress that will come because of losing this amazing man, this light, so suddenly. Any contribution is greatly appreciated.